Has the use of imprisonment increased in 2002 and more generally in recent years? What proportion of cases attract “special circumstances”,2 that is, how frequently is the non-parole period less than 75% of the full term of the sentence (sometimes referred to as the head sentence)? Overall, what is the most common ratio between the non-parole period and the full term of sentence? What are the 20 most common offences sentenced and what are the median sentences for those offences? 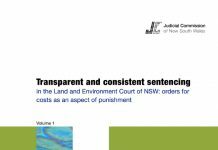 The current paper may also be read in conjunction with the Judicial Commission’s earlier research on higher court sentencing3 and the recently published analysis of the 20 most common offences sentenced by the Local Courts.4 Together, these papers provide an overview of the workload and sentencing practices of the courts exercising criminal jurisdiction in New South Wales. Figure 1 shows the distribution of sentencing options for all 2,801 offenders sentenced by higher courts in 2002. This increase in the use of full-time imprisonment has occurred despite the introduction of suspended sentences in 2000. In 2002, suspended sentences accounted for 12.2% of sentenced offenders. In JCE, the Court of Criminal Appeal held that a sentence of imprisonment that is suspended is nonetheless a sentence of imprisonment.9 If those offenders who received a suspended sentence are added to those who received periodic detention or home detention, the actual rate of imprisonment reaches approximately 88% of sentenced offenders. While imprisonment is being used more often than in the past, the lengths of prison sentences have not increased. The median term of full-time imprisonment imposed on all offenders by the District and Supreme Courts in 2002 was 40 months. This figure can be further broken down into a median of 36 months for non-consecutive sentences and 54 months for sentences in cases involving cumulation.11 The median non-parole period in non-consecutive cases was 18 months. Since the decision in Pearce v The Queen13 the Judicial Commission’s JIRS database has included consecutive sentences in order to more accurately reflect the number of offenders sentenced to imprisonment. The use of consecutive sentences increased from approximately 5% in 2000 to 11% in 2002. In addition, the length of sentence for the principal offence has also increased where sentences were consecutive or partly consecutive. In 2002, the median full term of imprisonment imposed for the principal offence was 54 months, much higher than the 36-month median for principal offences in the absence of consecutive sentence. This has increased from 48 months in each of the years 1999 to 2001. The present study found that this is not the case and it is indeed something of a rarity for a sentence to reflect the statutory norm. Of all sentences of imprisonment imposed by the District and Supreme Courts in 2002,17 only 12.9% of sentences included a non-parole period of 75% or more of the full term, including 2.9% of fixed term sentences.18 It would appear, therefore, that “special circumstances” must have been found in up to 87.1% of cases where imprisonment was ordered. 84.7% of those imprisoned had a non-parole period/full term ratio of 66.7% or less. In that case, the court held that it was not possible to definitively list what could or could not constitute special circumstances. Spigelman CJ said “the case law does not justify a restrictive approach to the scope of considerations relevant to the determination by a court of what constitutes special circumstances in a particular case”.24 The court held that a “wide range” of considerations are capable of constituting special circumstances25 and that it would be rare for a subjective factor to be inherently incapable of constituting a special circumstance.26 A finding of special circumstances under s 44(2) does not have to be based primarily or exclusively on a finding that it is desirable for an offender to be supervised on parole for an extended period.27 Although technically the statutory proportion of 75% constitutes a “fetter or constraint” upon the sentencing discretion28 it no longer seems to inhibit the discretionary nature of the sentencing exercise. The 20 most common principal offences sentenced in the higher courts in 2002 are shown in Table 1. These 20 offences accounted for 1,846 offenders or 65.9% of all offenders sentenced in the year. By way of comparison, the 1900–1997 study recorded that the 20 most common principal offences accounted for just 57.2% of all cases. Despite changes and amendments to legislation in the intervening years, the 20 most common offences in 2002 were generally similar to those observed in the 1990–1997 period, in particular, the presence of armed robbery, supply drugs, and break and enter among the single most common offences. There were, however, some noticeable differences between the 2002 top 20 offences compared to the 1990–1997 period. For example, non-violent property offences such as receiving, larceny, motor vehicle theft, obtain by deception and defraud by false representation appeared in the earlier lists, while in 2002 the only non-violent property offence among the top 20 was defrauding the Commonwealth. Again, this may be attributed to the effect of the Criminal Procedure (Indictable Offences) Act 1995 which allowed many of these offences to be dealt with summarily. The following analysis provides information on the sentencing patterns for each of the 20 most common offences: see Table 2 for a full listing of penalty types by offence. As almost 70% of all sentences were sentences of full-time imprisonment the analysis is largely concerned with imprisonment information. The distribution of sentences figure shows the proportion of sentences which fall within the middle 60% range of sentences. The lower limit of this range was set at the third percentile and the upper limit at the eighth percentile. The higher the proportion of sentences that fall within this range, the more concentrated and consistent was the distribution of sentences. Comments: This offence has maintained a prominent position among the 20 most common offences. In 2002, this offence recorded the second lowest rate of imprisonment for any of the 20 most common offences sentenced. It has corresponding high rates of non-custodial dispositions, including the highest rate of suspended sentences (26.2%) among the 20 offences listed. Comments: A lower rate of imprisonment than for non-aggravated offences under s 112(1), although the median sentences were higher. Comments: The lowest imprisonment rate of any of the 20 offences listed, and the highest rate of both s 9 bonds (22.4%) and CSOs (9.2%), and the third highest rate of s 12 suspended sentences (19.7%). Comments: Excluding murder and import commercial quantity of prohibited drug, this offence showed the highest rate of imprisonment and one of the more severe median full terms. As expected, both these figures were higher than the figures recorded for the non-aggravated offence. Comments: Among the most serious offences in the top 20, with an accordingly high rate of imprisonment and high median sentence. Note also the quite high proportion of consecutive sentences and the high median in those cases, and the quite low proportion of cases where the NPP/full term ratio was 50% or below. Comments: This offence is subject to two guideline judgments42 which require a custodial sentence to be imposed unless the offender “has a low level of culpability”.43 One-third of all offenders convicted of this offence avoided a full-time custodial punishment. When custodial sentences were imposed, the median full term reflects the 3-year starting point suggested by the guideline judgments. Special circumstances were obviously found in the majority of these cases, as only one offender received a NPP equal to or greater than 75% of the full term. Comments: The equal highest rate of imprisonment and the highest median full term of any offence apart from murder. There were few instances of a NPP/full term ratio of 50% or below, with a ratio of 66.7% being most common. This reflects the different sentencing regime for Commonwealth offenders. Comments: The high rate of imprisonment is similar to that for the previous offence, although the median sentences are lower. There was also a distinctive pattern of distribution in the NPP/full term ratio with 66.7% being a common ratio applied in more than a quarter of cases. This again reflects the different sentencing regime for Commonwealth offenders. This offence was also subject to a guideline judgment44 which recommends a range of full terms from 5–10 years depending on the amount of drug involved. This guideline was over-ruled by the High Court45 which heavily criticised the emphasis on drug amount in determining an appropriate sentence. Comments: As may be expected, this was the most severely sentenced of all offences. All offenders were imprisoned and the shortest full term imposed was 14 years. Of note also is the NPP/full term ratio which was the highest of any of the offences listed. Comments: This offence featured a relatively low rate of imprisonment, the highest rate of periodic detention (22.2%) and a relatively high proportion of s 12 suspended sentences (19.4%). As was the case for dangerous driving causing death, imprisonment was ordered, the median full term was in accordance with the 2-year period suggested by the guideline judgment of Whyte. Comments: As may be expected, the rate of imprisonment and the median term of imprisonment were substantially higher than for offences under s 25(1). Comments: Very high rate of imprisonment, although few offenders received NPPs of 75% or more of the full term. Comments: A relatively low rate of imprisonment, with a NPP/full term ratio of 40% occurring in nearly a quarter of those imprisoned (23.4%). Note again the different sentencing regime for Commonwealth offenders. NPP/full term ratio: NPP 50% or less in 52.5% of cases; NPP 75% or more in 14.6% of cases. SHADED NUMBERS INDICATE THAT FOR THAT PARTICULAR OFFENCE, THE SHADED PENALTY TYPE IS NOTICABLY OVERUSED COMPARED TO THE TOTAL FIGURE. There has been a gradual increase in the use of imprisonment in the past decade. For non-consecutive cases, the median full term was 36 months and the median non-parole period was 18 months in each year since 1996. This could be attributed to the increased use of imprisonment for offences which previously attracted alternatives to imprisonment. In other words, more offenders are being imprisoned for short periods, which may be having the statistical effect of stabilising the median sentence. 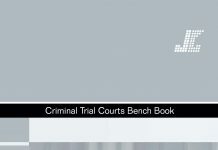 Another factor that may affect median sentence levels for each offence is the increased frequency of judges finding special circumstances under s 44(2) of the Crimes (Sentencing Procedure) Act 1999. Special circumstances were found in 87.1% of cases. The degree of departure from the 75% statutory norm was significant. Sentences were most commonly structured so that the non-parole period was 50% of the full term of sentence. The 20 most commonly sentenced offences in the District and Supreme Courts have not changed greatly over the past decade. 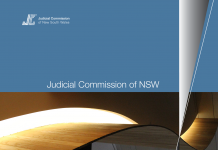 1 The following analysis includes all offenders sentenced in the NSW District and Supreme Courts in the 2002 calendar year as recorded by the Judicial Commission’s Judicial Information Research System (JIRS). The term “offence” refers to the principal offence for which each offender was sentenced, that is, the offence which attracted the highest penalty. When an offender was convicted and sentenced for more than one offence, those offences which received lesser penalties were omitted from the analysis. 2 Section 44(2) of the Crimes (Sentencing Procedure) Act 1999 provides that the non-parole period must not be less than three-quarters of the term of the sentence, unless the court decides that there are special circumstances for it being less, in which case the court must give reasons for that decision. 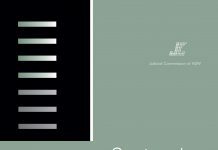 3 J Hickey and S Cumines, “Common Offences in the Higher Courts 1990–1997” (1998) 18 Sentencing Trends, Judicial Commission of NSW. For earlier analysis, see also V Roby, “Common Offences in the Higher Courts” (1994) 6 Sentencing Trends, Judicial Commission of NSW. 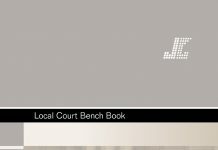 4 J Keane and P Poletti, “Common Offences in the Local Courts 2002” (2003) 28 Sentencing Trends & Issues, Judicial Commission of NSW. 5 Hickey and Cumines, op cit n 3, p 3. 6 NSW Bureau of Crime Statistics and Research, “Average length of imprisonment (months), by principal offence, NSW Higher Courts 1998 to 2002”. Accessed February 2003. 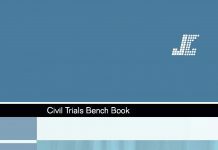 Available url: <http://www.lawlink.nsw.gov.au/bocsar1.nsf/pages/courtstatsindex>. 7 Australian Bureau of Statistics, Prisoners in Australia, June 2003, cat no 4517.0, 2004. 8 NSW Department of Corrective Services, Annual Report2001–2002, Statistical supplement, pp 12–13. 9 R v JCE (2000) 120 A Crim R 18 at . 10 G Brignell and P Poletti, “Suspended Sentences in NSW” (2003) 29 Sentencing Trends & Issues, Judicial Commission of NSW. 11 Note this figure is still for the principal offence only and does not reflect the aggregate sentence for multiple offences. 12 Op cit n 6. 13 (1998) 194 CLR 610. 14 Keane and Poletti, op cit n 4, p 11. 16 The Hon R J Debus, New South Wales Parliamentary Debates (Hansard), Legislative Assembly, 28 October 1999, p 2326. 17 n=1613 (excludes cumulative sentences and sentences of six months or less where there is no power to set a non-parole period: Crimes (Sentencing Procedure) Act 1999, s 46). 18 That is, those where the NPP/full term ratio is 100%, including life sentences. 19 These figures only include non-consecutive sentences. 20 I MacKinnell, D Spears and R Tackach, Special Circumstances under the Sentencing Act 1989, 1993, Monograph No 7, Judicial Commission of NSW. 21 R v Clissold  NSWCCA 356. 22 See n 1; on the question of totality and consecutive sentences see Pearce v The Queen (1998) 194 CLR 610. 23 (2001) 53 NSWLR 704. 24 Ibid at , Mason P, Grove J and Newman AJ agreeing, Sully J agreeing on this point. 27 Ibid at  and . 28 Ibid per Spigelman CJ. 30 Power v The Queen (1974) 131 CLR 623; see also Spigelman CJ in R v Simpson (2001) 53 NSWLR 704. 31 The Hon R J Debus, New South Wales Parliamentary Debates (Hansard), Legislative Assembly, 23 October 2002, p 5813 et seq. 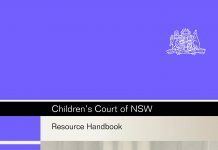 32 Hickey and Cumines, op cit n 3, pp 1–2, citing District Court of NSW Annual Review 1996, at p 36. 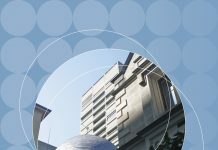 See also K Ellson and P Poletti “Sentencing Offenders in the Local Courts: Effects of the Criminal Procedure (Indictable Offences) Act 1995” (2000) 19 Sentencing Trends, Judicial Commission of NSW. 33 Keane and Poletti, op cit n 4, p 3. 34 Does not include large commercial quantity offences. 35 Crimes (Sentencing Procedure) Act 1999, s 44(2). 36 Crimes (Sentencing Procedure) Act 1999, s 46. 37 R v Henry (1999) 46 NSWLR 346. 38 See also L Barnes and P Poletti, “Sentencing Trends for Armed Robbery and Robbery in Company: The Impact of the Guideline in R v Henry” (2003) 26 Sentencing Trends & Issues, Judicial Commission of NSW. The Judicial Commission is also presently undertaking a more detailed study of armed robbery sentences to determine the extent to which the guideline is being applied and its impact on sentences imposed. 39 For 158 offenders (93.5%), the serious indictable offence committed was stealing, while 11 offenders (6.5%) committed other offences. 40 Hickey and Cumines, op cit n 3, p 7. 41 Re Attorney General’s Application (No1); R v Ponfield (1999) 48 NSWLR 327. 42 R v Jurisic (1998) 45 NSWLR 209 and R v Whyte (2002) 55 NSWLR 252. 43 R v Whyte (2002) 55 NSWLR 252. 44 R v Wong; R v Leung (1999) 48 NSWLR 340. 45 Wong v The Queen; Leung v The Queen (2001) 207 CLR 584. 46 Does not include commercial quantities.